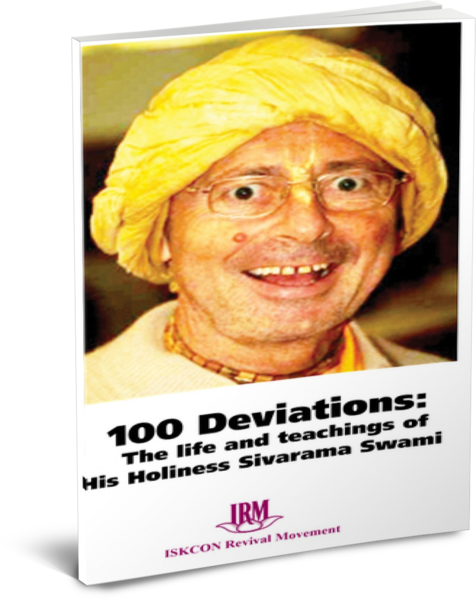 The IRM is a body composed of ISKCON devotees from all over the world who want to see the Society put back on track, in line with the directives of its Founder, Srila Prabhupada. Why does the IRM exist? The spiritual purity and general prestige of ISKCON has undergone a massive deterioration since the physical departure of its Founder on November 14th 1977. Srila Prabhupada single-handedly established ISKCON in 1966 as a great gift to the world, and when he left it was an expanding dynamic force, a beacon of light for humanity. Sadly today it is disintegrating, a fact admitted in a memo sent in May 2000 by the then GBC Chairman Ravindra Svarupa das: “Therefore the question remains: What, then, will we do? How will we deal with our polarized and disintegrating Society?” This decline can be traced back to various deviations from the instructions and standards given by Srila Prabhupada, the chief of which being his displacement as the sole diksa guru for ISKCON. The ISKCON Revival Movement seeks to restore ISKCON to its former glory, purity and philosophical chastity through the re-institution of all the instructions and standards that Srila Prabhupada gave, beginning with his role as the sole authority and diksa guru for ISKCON. 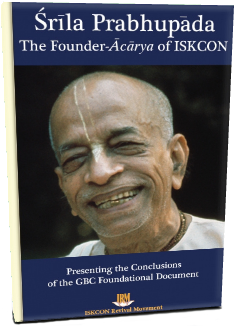 The IRM’s position is set out in The Final Order and No Change in ISKCON Paradigm position papers. 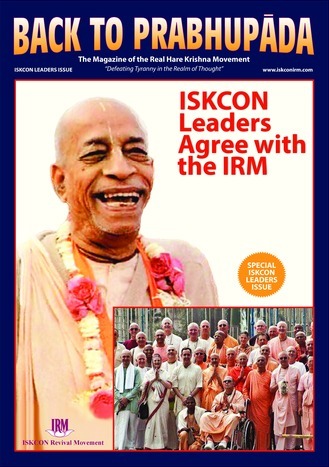 Is the IRM separate from ISKCON? It is a movement within a movement, composed of ISKCON members who seek to reform and revive the Society. Is the aim of the IRM to form a new movement? No. It is to re-establish the original ISKCON that Srila Prabhupada left us. Once this is achieved the IRM shall be dissolved. 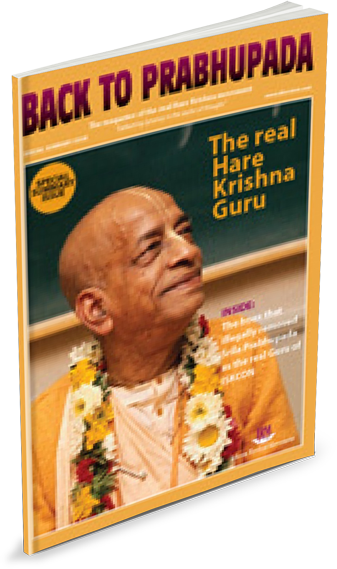 What difference would Srila Prabhupada's restoration as the sole diksa guru make? Firstly, it is the most basic axiom of spiritual life that we can only make advancement by properly following the orders of the guru. If the guru asks for milk and we bring him water, how will he be pleased? And if the guru is not pleased, how will we ever approach Lord Krishna? 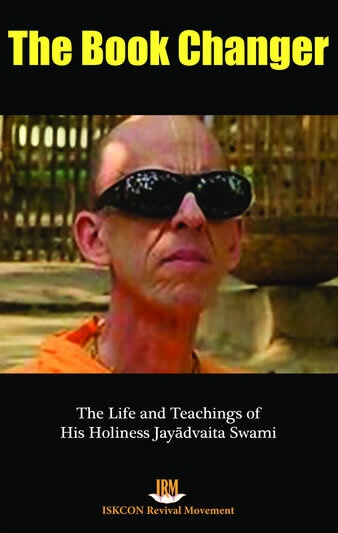 For nearly four decades ISKCON has not been doing what Srila Prabhupada ordered. Since Srila Prabhupada left us physically we have not allowed him to initiate even one person via his ritvik, or representational, system. This is the only system of initiation he ever authorised to continue within the Society. If ISKCON members once more start to follow his order, then naturally they will please Lord Krishna, and all spiritual success should naturally follow. Also, with everyone having the same direct relationship as Srila Prabhupada’s disciples, factionalism will be eliminated. For the first time in nearly forty years there will be united team spirit, with everyone working for the same goal – the service and glorification of Srila Prabhupada and Sri Krishna. 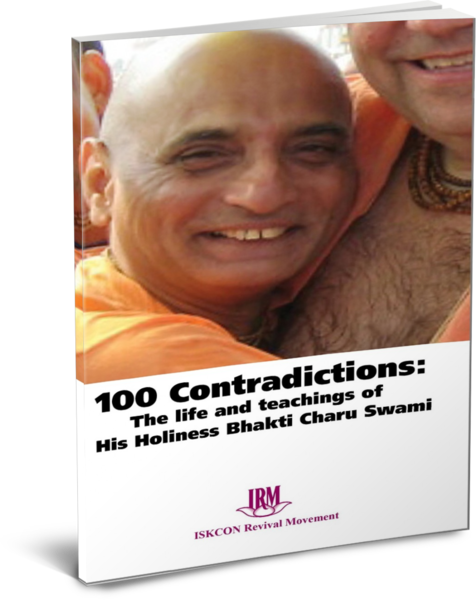 Many ISKCON “gurus” have fallen prey to gross sinful activities; and when they leave they often take with them hundreds of thousands of dollars and many of their followers. This continual loss of properties, faith and personnel will be eliminated as faith is only placed in Srila Prabhupada, and not in fallible substitutes. Money currently siphoned off by the 80 or so “gurus” from their disciples in daksina (gifted money) will instead go to temples, making them healthy and strong. How can the IRM be so sure its position is correct, and the GBC's is not? b) Disciple Of My Disciple (HH Umapati Swami, 1997): Eleven diksa gurus were all set up and ready on May 28th, 1977 since “ritvik” means “officiating acarya” which means “diksa guru”. c) Prabhupada’s Order (Badrinarayan das, 1998): On July 9th, 1977 the eleven were fully functioning as gurus but simply observing the etiquette in Srila Prabhupada’s presence. Above we see the GBC have given three different dates for when Srila Prabhupada allegedly sanctioned his replacement. whilst c) refers to the signed directive on initiation after which this booklet is named. Thus each GBC position paper tells a very different tale. To make matters worse: In March 2004, at their annual meeting in Mayapur, the GBC officially withdrew the paper On My Order Understood, privately admitting it contained “lies” and “stretched the truth“. It was this very paper that The Final Order set out originally to challenge (please see The Final Order’s Introduction) and the fact it has now been withdrawn so ignominiously can only further vindicate the IRM’s position. Quite clearly the GBC are confused over when successor diksa gurus were authorised. 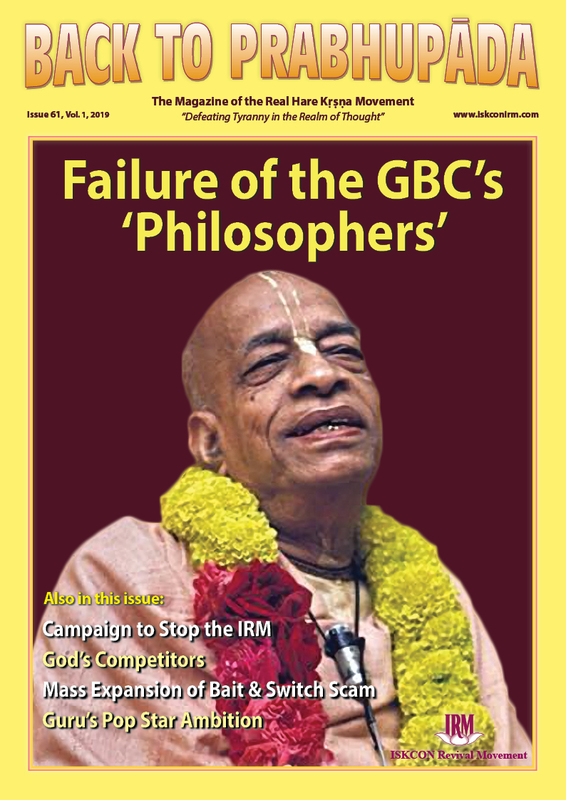 The IRM argues that this is inevitable since Srila Prabhupada never created any replacement diksa gurus, only ritviks; and it was this ritvik system he left running with no order for it to be stopped. On this basis we argue that the GBC must first decide on a position, and only then will we be able to judge its efficacy. The sad thing is that, even to this day, anyone who questions the GBC’s miasma of discordant testimony is ruthlessly hounded from the Society.